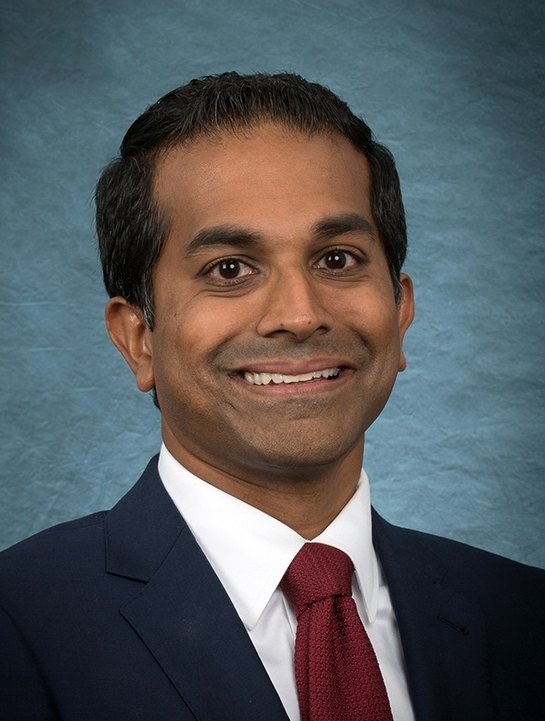 Arrowhead Regional Medical Center has announced the appointment of Dr. Varadarajan Subbiah as chief medical officer. In this position he will oversee the delivery of all medical services to meet ARMC’s health care goals. Dr. Subbiah brings more than a decade of experience in internal medicine care, health care quality, and hospital operations to his new position. Prior to joining ARMC, he most recently served in several leadership roles at Christiana Care Health System, one of the country’s largest health care providers located in Wilmington, Delaware. These include Medical Director of Patient Access and Flow, Medical Director of Care Management, Senior Physician Advisor for Utilization Review, and Clinical Assistant Professor/Inpatient Hospitalist. Prior to joining Christiana Care Health System, he was Director of Academic Programs for Crozer Hospitalists at Crozer-Chester Medical Center in Upland, Pennsylvania; and prior to that he was Attending Physician at the Hospital of the University of Pennsylvania, consistently ranked as one of the top hospitals in the United States. Dr. Subbiah earned his medical degree at University of Medicine and Dentistry of New Jersey. He completed his residency at Temple University Hospital, and is board certified in Internal Medicine. He also holds a Master of Business Administration from the University Of Massachusetts. He has presented at several medical conferences and special sessions, and last year authored “Effectiveness of Multiple Observation Units in Reducing Length of Stay,” which appeared in the Journal of Hospital Medicine. ARMC is a 456-bed university-affiliated teaching hospital licensed by the State of California Department of Public Health, operated by the County of San Bernardino, and governed by the Board of Supervisors. The hospital, located on a 70-acre campus in Colton, operates a regional burn center, level II trauma center, primary stroke center, a behavioral health center, five primary care centers, and provides more than 40 outpatient specialty care services. ARMC is helping to achieve the Countywide Vision by addressing the community’s wellness and educational needs. For more information about ARMC visit www.arrowheadmedcenter.org. Follow ARMC on Twitter at @ArrowheadRMC for important announcements and updates, and on Facebook at www.facebook.com/arrowheadregional. Join Arrowhead Regional Medical Center at the free 11th Annual 5K Walk/Run & Health Expo on Saturday, March 17. Check-in begins at 7 a.m., and the Walk/Run begins at 8:30 with an awards presentation to immediately follow. The Walk/Run is an outreach effort designed to raise awareness in exercise and healthy eating to help combat rising obesity and diabetes rates. The goal is to encourage individuals of all ages to improve the quality of their lives. The Health Expo will offer basic health screenings, stay-healthy information, and many local vendors. ARMC’s Walk/Run is aligned with the Countywide Vision’s Vision2BActive campaign to keep County residents active and moving. ARMC is located at 400 North Pepper Ave., in Colton. Please, for everyone’s safety, no pets, skates, skateboards, scooters or bicycles. To register go to: www.arrowheadmedcenter.org. Arrowhead Regional Medical Center is holding a free flu shot clinic at 8 a.m. on Oct. 24 for people who are uninsured or underinsured. The first 500 people to attend will receive a free flu shot at the Oak Room on the first floor of ARMC, 400 North Pepper Avenue in Colton. 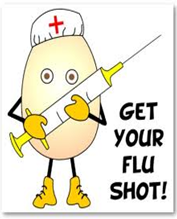 Flu season is here again and ARMC would like to help people stay healthy. Every year in the United States, influenza viruses are responsible for more than 200,000 hospitalizations and thousands of deaths. Come to ARMC for a free flu shot and learn practical tips that will help families take the right precautions to stay healthy this winter. Some walk. Some run. Arrowhead Regional Medical Center staff danced to celebrate cancer survivors for ARMC’s entry in the 2015 Pink Glove Dance competition. The Pink Glove Dance raises awareness and funds for the early detection of breast cancer. The 90-second vignette features Sharon Kemp, employee and survivor, recounting her experience. Back in 2009, Medline Industries, Inc. turned everyday exam gloves from green to pink. This sparked the beginning of the company’s breast cancer education campaign. The introduction of the pink gloves helps take the fear out of detection exams and reminds nurses about the importance of creating a comfortable, friendly and open dialogue with their patients. A few years later, Medline created the Pink Glove Dance video competition, bringing together nearly 200,000 healthcare professionals, patients and communities to celebrate hope for a cure and honor all who have been affected by the disease through the joy of dancing. More than 16 million YouTube views later, the Medline Pink Glove Dance competition has inspired nearly 1,000 dance videos and raised nearly $1 million for breast cancer charities nationwide. Logon and view the video and vote for ARMC. Also, encourage your friends to vote by sharing this link on social media. Voting runs through Sept. 23. Learn how to add a touch of health to your favorite foods. Attend Arrowhead Regional Medical Center’s next Serving Up Healthy class, featuring a registered dietitian who will show you how to prepare a healthy fall meal. The class is Thursday, Sept. 24 at 5:30 p.m. in the Oak Room at ARMC. Food samples and a recipe booklet will be offered. Registration is required by calling 909-580-3143, or log on to: www.arrowheadmedcenter.org. Don’t miss the event of the season! The Arrowhead Regional Medical Center Foundation will host its 2015 Autumn Extravaganza Gala and Awards Dinner on Oct. 8. Proceeds from the event, which will be held at the National Orange Show Events Center in San Bernardino, will benefit Arrowhead Regional Medical Center’s cancer program. The event includes live music, no-host cocktails, dinner and auction. Black-tie optional. For tickets or more information, call 909-580-3167. Click here for details and tickets. The Board of Supervisors today unanimously selected an experienced executive with more than 30 years in the health care industry as the new director of Arrowhead Regional Medical Center. William L. Gilbert, who has held chief executive officer positions for several large health care systems across the United States, will oversee Arrowhead Regional Medical Center in Colton beginning July 6, 2015. Most recently, Gilbert worked with Deaconess Hospital in Spokane, Washington and Foundation Surgical Affiliates in San Antonio, Texas. Gilbert has a bachelor’s degree in healthcare administration from the University of La Verne and a Master of Business Administration from Pepperdine University. 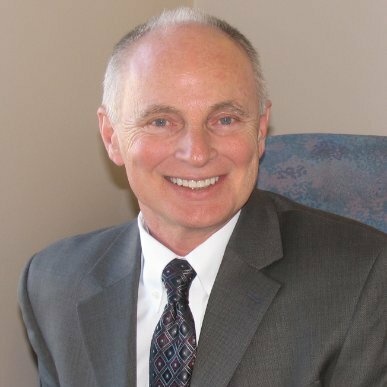 He has also been a board member for the Washington State Hospital Association, the California Hospital Association and several other healthcare associations throughout his career. In his position as director, Gilbert will supervise 3,691 employees and manage a budget of $451 million at the state-of-the-art acute care hospital. His employment contract calls for him to earn a salary of $299,500. Gilbert succeeds William Foley who left ARMC in May for another healthcare position in the Midwest. Arrowhead Regional Medical Center is a Level II trauma center which also operates a regional burn center, a primary stroke center, a free-standing behavioral center, four primary care centers including three family health centers and more than 40 outpatient specialty care services. 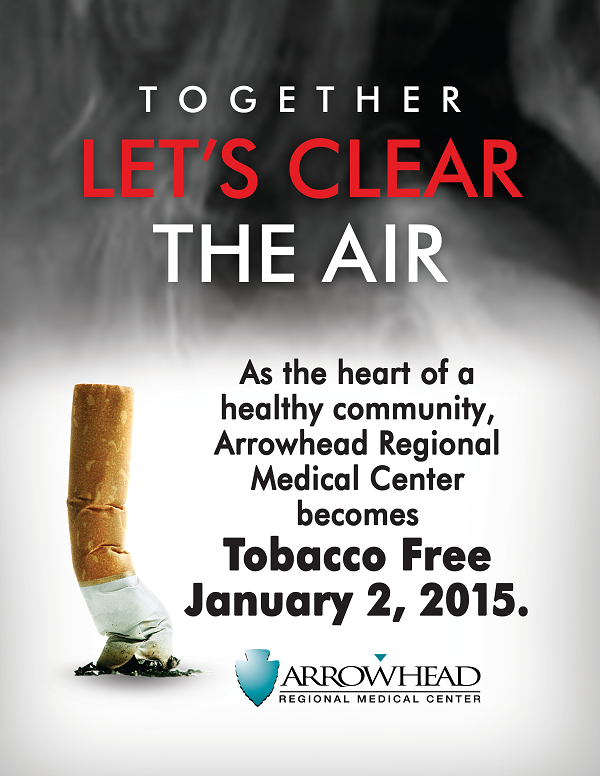 As part of its commitment to creating a healthy environment for patients, visitors and employees, Arrowhead Regional Medical Center (ARMC) becomes tobacco free Jan. 2, 2015. The tobacco-free initiative will be implemented throughout the entire campus including parking lots, sidewalks, and streets. The policy prohibits tobacco use of any kind as well as e-cigarettes, and will apply to employees, volunteers, students, patients, visitors, vendors, contractors and other individuals who visit the hospital campus. Kicking the habit can be challenging, but ARMC has smoking cessation classes and other resources already in place. Call the hospital’s Quit Clinic at 909-580-6167, or visit ARMC’s website at www.arrowheadmedcenter.org and click on the “Let’s Clear the Air” link to learn more about what you can do to be tobacco free. Together let’s clear the air! Without aggressive prevention, HAPU, more commonly known as bedsores, can occur easily in a hospital environment and lead to suffering, infection, and a host of other problems. ARMC’s HAPU prevention program draws experts from multiple disciplines including nursing, medical staff, physical therapy, nutrition services, respiratory therapy and education. The “HAPU – Adventures in Prevention” project included the development of an educational video to help train staff and to demonstrate best practices. The video uses a game scenario showing HAPU prevention protocols as a patient is taken through the system. To view the video go to: https://vimeo.com/102573519. For more than 20 years, the CAPH Quality Leaders Awards program has acknowledged hundreds of quality improvements among its members. The goals of the program are to encourage the sharing of effective strategies and best practices that address pressing clinical and operational issues and advance community health; recognize dedicated and talented professionals in public health care systems; and showcase the unique and creative approaches that California’s public health care systems have taken to carry out their missions and address the health care needs of the communities they serve. CAPH represents 21 public health care systems and academic medical centers. CAPH members comprise the core group of health care providers that make up the state’s medical safety net, and provide essential community services such as emergency, trauma and burn care. For more information about CAPH go to: http://caph.org/aboutcaph/. ARMC, a university affiliated teaching hospital, is a state-of-the-art acute care facility with a full range of inpatient and outpatient services including a Level II trauma center, mobile medical clinic, primary stroke center, and a regional burn center. For more information about ARMC, go to: www.arrowheadmedcenter.org. 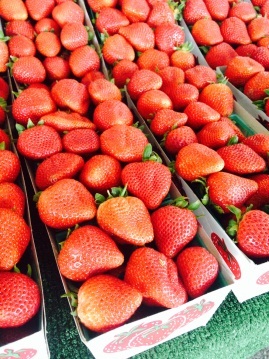 Celebrate Fruit and Veggie Month! Arrowhead Regional Medical Center (ARMC) hosts a Farmer’s Market each Wednesday from 9 a.m. – 1 p.m. in front of the hospital. Stop by ARMC for certified fresh locally grown produce and artisan breads. ARMC partners with the Southland Farmers Market Association to bring the weekly Farmers Market to the Medical Center. ARMC is committed to promoting health and wellness to the community in line with the Countywide Vision. For more information, call 909-580-2198. Click here for more details.